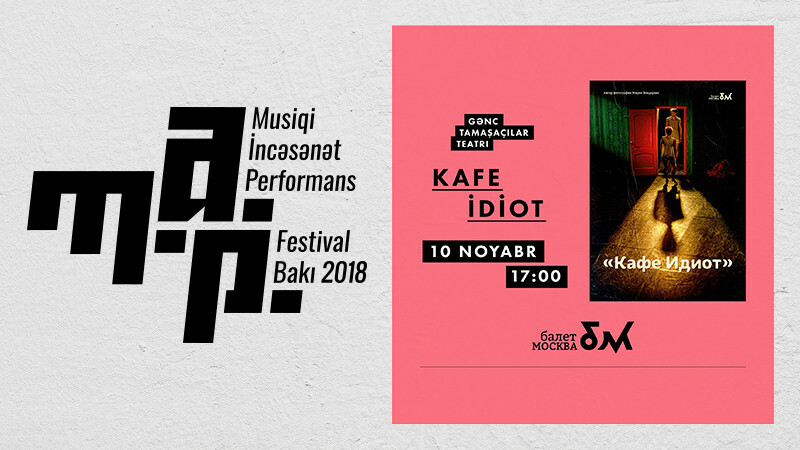 Café Idiot in Azerbaijan State Youth Theatre of Young Spectators buy tickets online. Delivery of tickets for the event Café Idiot. The Theatre Ballet Moscow is an innovative dance company, where unique artistic vision arises from a paired set of two casts — contemporary dance and ballet. The artistic program of Ballet Moscow is based on a multi-genre approach to the repertoire offering performances of a wide range of styles — one can enjoy traditional ballets as well as contemporary ballet experiments and dance pieces. The repertoire is exclusively created for the company by up-coming and established Russian and international choreographers. It puts special emphasis on the professional development of new trends in choreography and dance and follows the newest dance tendencies. The theatre works in free space — it does not have its own stage. This allows experimentation with locations, use of potential and originality of various theatre venues. The production is based on Fedor Dostoevsky's philosophical novel «The Idiot». Alexander Pepelyayev tries to retell a multi-layered, eventful detective novel through movement and images. Pepelyayev managed to discern in the novel a rich texture for the dance language. His reading of Dostoevsky is extremely unusual; however, the audience comes to recognize the atmosphere, emotional state, and plot right away. The novel is divided into many-voiced parties: Nastasya Filippovna, Rogozhin, Myshkin are impersonated by different performers. They interchange and flow into each other, sometimes merging into a homogenous red mass. The red color is tremendously capacious – it symbolizes suffering, passion, love, and death.